Ever since the ideas of Zoroastrianism started to spread globally, the notion of opposition between good and evil has become predominant in the western world. That, in turn, found its reflection in all forms of art. Can you imagine a Marvel movie without a hero and anti-hero? No one would probably watch such a film. With so many examples around us, writing a hero essay should not be a difficult task. 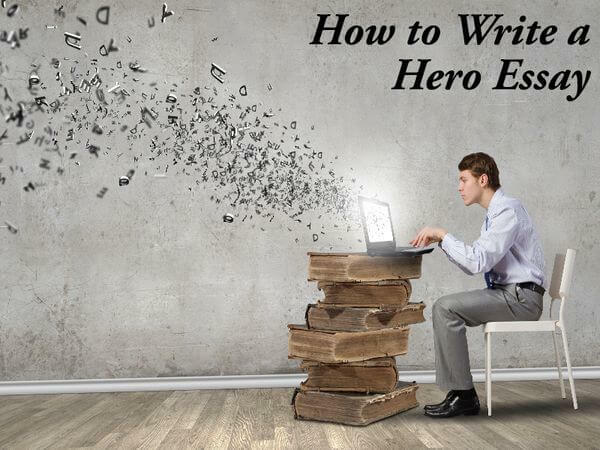 However, there are some tips that a student should follow to make the hero essay a good one. How do we define a hero? They may be ordinary people like you and me or they may be some creatures with superpowers, but they all have the same trait – they sacrifice their interests, time, and sometimes life in order to defend other people. Who can be called a hero? It is anyone who acts selflessly and sacrifices him or herself for the good of others, has strength and will to save human lives, prevents bad incidents to happen or evil forces from acting to harm others. Heroes do not act of their egoism; they act from the absence of it. Do not think that hero essays can only be written about some super-creatures with superpowers. A sportsman from your country may be a hero, or a teacher from your school, or even a singer whom you see on the TV every day. If you have an opportunity to select the character, when writing a hero essay, choose the one whom you really like. In this case, most probably, you will write the paper with great inspiration and energy.